It’s always good to get recommendations from the locals on where to dine when you’re in a new city. Just like many other visitors in the city, we would have most likely have gone to one of the tourist hot spot restaurants along by the seafront. But we were told about Sperun, which was only a few minutes walk from the seafront. Sperun was decorated on the outside by lots of greenery and plants. Inside, this restaurant had a really rustic feel to it and felt like it had plenty of character. The white stone washed walls contrasted with the dark wooden furniture. The waiter seemed a bit abrupt at the start but then mellowed out as he was taking our order and also as the evening went on. 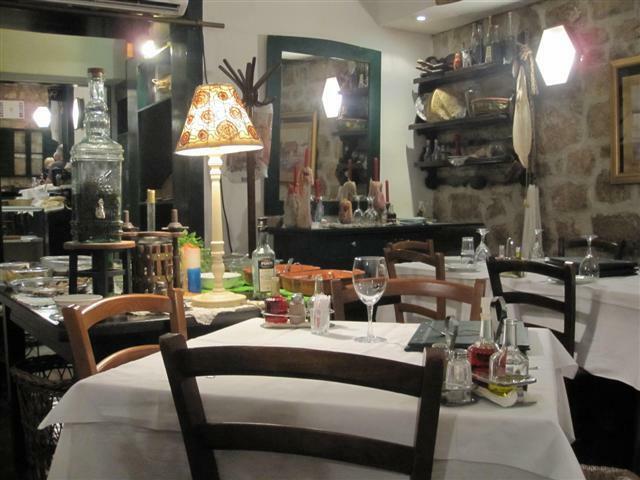 There was a big table in the middle of the restaurant which had dishes such as grilled vegetables, olives, and other cold starter dishes. Initially, I was going to order the chargrilled vegetables, but then I realised that they were going to be from this open display. The waiter did say that we could have them warm; he could microwave them for us. I don’t usually chose pasta but on this occasion, I thought that I’d give it a try. My meal was simple spaghetti in a tomato sauce. I was so glad that I had this dish. 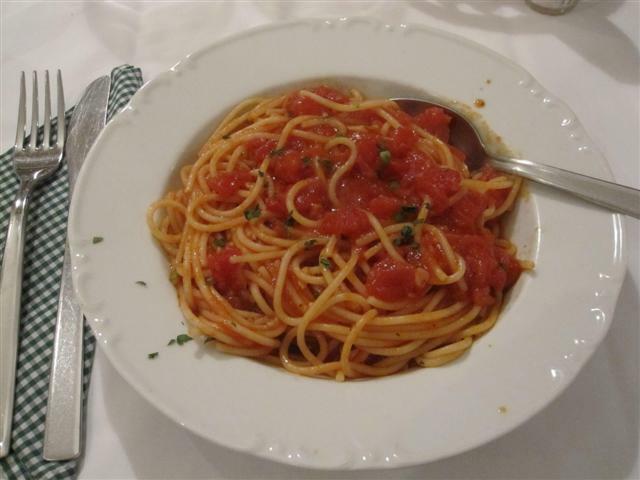 The spaghetti was cooked well and there were chunks of tomato in the dish. The sauce was really flavoursome and had a sweetness to it. The portion size was small but just right for me. If I had been given more spaghetti, I would have found the dish just that little bit too heavy. 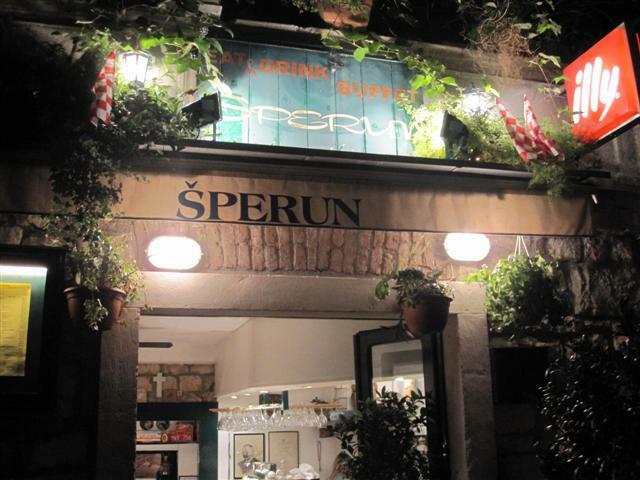 The food was tasty from Sperun. We even considered going back to this restaurant on another night.